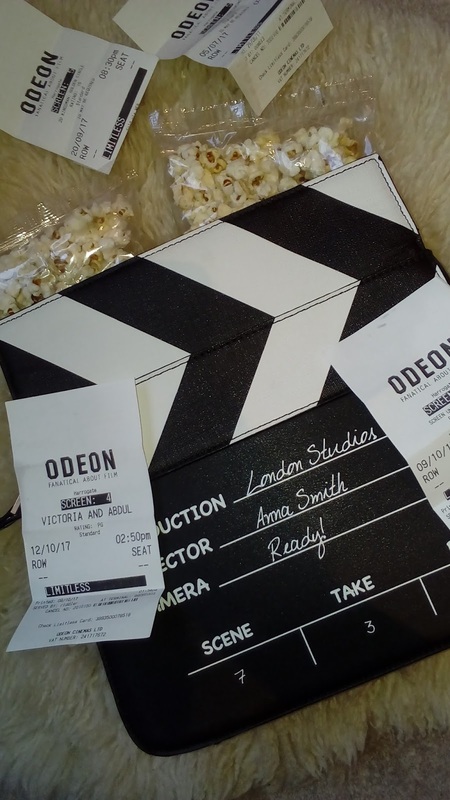 Film Reviews | Getting The Most Out Of My Limitless Membership | Six More Film Reviews For You To Enjoy! Welcome back! 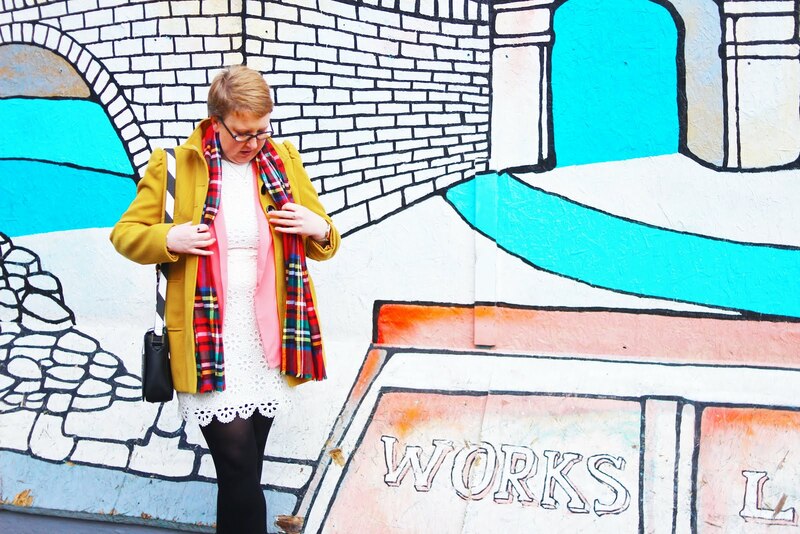 Today I am talking all things film again seeing as my last 2 posts were popular! Please read Part 1 Part 2 if you fancy it! Sit back, grab a cuppa and get ready as I chat to you about all things film! This film was amazing, I loved it and I cried because it was so beautiful. A young boy Conor (Lewis MacDougall) is attempting to deal with his mother's illness (played by Felicity Jones) as well as the bullying he is facing from the boys at school. He disappears into a fantasy world of monsters and fairy tales which explore everything from courage, loss and faith and one monster in particular comes to life in the form of a tree which Conor visits everyday. 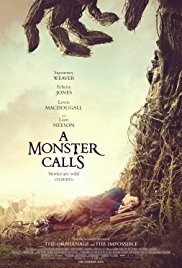 It comes to life at exactly 12:07AM and tells Conor three true stories, in return he must tell the monster the truth behind his nightmare. This film tells the true story of the assassination of the American President John F Kennedy from the point of view of his wife, Jackie. Right from the moment it happens as they're travelling in the car right through to her protecting her husband's legacy and the effects JFK's death has on the entire family. Jackie works tirelessly in the months after her husband's death to protect everything they had worked so hard to build up, including finding out exactly what happened on that fateful November day in 1963, we find out later there was a lot of cover ups going on and evidence tampered with in order to protect the president and his family. Another animated film from those wizards at Pixar, SING tells the story of Buster Moon a little Koala with money on his mind! He is in danger of losing his father's theatre if he doesn't do something soon so he has the idea of hosting a singing contest with a prize of $1,000 to the winner. It is a wonderful tale of facing your fears and doing it anyway as the contestants each audition we are taken on a journey through each auditionees lives and why they've chosen to audition. As always with films like this there is always one who really is scared, but has the best voice and is pushed to perform by her family. It's a story of triumph over adversity, building up from the ashes of the burned out theatre like a phoenix from the flames. Yes Buster is only in it for the money as he doesn't really want to give away the prize money and comes up with an elaborate plan to prevent this happening! But as always he is found out and all the stars feel let down and betrayed as for some it had taken a lot for them to get into the show in the first place. 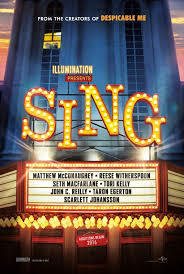 It is a wonderful film and one which had me with misty eyes by the end, it was beautifully written, the animations were excellent and the story perfect for this generation of X-Factor/The Voice audition led singing shows. 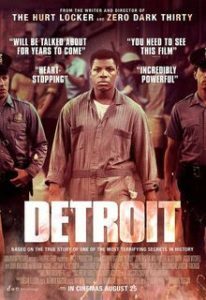 A fact-based film based on the 1967 Detroit riots and tells the story of a group of rouge policemen who respond to a complaint at an unlicensed minicab office who are serving liquor in celebration of black soldiers just returned from the war. There's already a lot of tension between the police and the general black population with unsolicited arrests and racism but it's this raid which pushes tensions to breaking point. This movie however focuses on the evening of July 25th in the Algiers Motel where the police are hunting for a suspected sniper shooting at the authorities, although we later learn it's just a toy gun fired in fun which eventually turns very, very real. It opens up a can of worms for all those involved and the police officers involved are walking a very thin line where their jobs are concerned. The police offers involved question everyone at the motel to try to identify the sniper and seem to take great delight in taunting the black residents as well as acting inappropriately with the females who were partying with them. I found it quite uncomfortable viewing as each officer took it in turns to take one of the black residents into a room for 'interrogation' although we all know that they're not likely to be sitting down and asking questions. They take it so far as to fire a warning shot whilst the black lads lie on the floors scared out of their wits. They are instructed to stay quiet and in the room as a warning to those left outside as to what could happen if they don't comply. Only one officer takes this 'warning shot' a little too literally and actually shoots on the black lads - something which the other officers are shocked by and take steps to cover up, even in court. Like I said it's pretty hard viewing because of the way all the black characters are treated and how little regard the white officers have for them. To say I 'liked' this film is difficult for me because that would mean I enjoyed watching the abuse dealt by the officers but I did enjoy having a history lesson as I didn't know anything about the 1967 riots prior to watching this film. I felt like I'd come away being more knowledgeable and thankful that we've come a long way since then. A very well deserved 10/10. A war movie with a difference. This film tells the story of the Allied troops left on the beaches as the Germans push ever closer during World War II in 1940. Thinking they're all but abandoned the troops start to think of ways to escape, all lining up on the pier ready to board the ships ready to take them home all the while dodging the bombs being dropped by the Germans. We all know what happened during the D-Day landings but what we don't know was what happened during the time the troops were on the beaches awaiting rescue. Having now seen 'Darkest Hour' I feel I have a more rounded view of this historic event and how much pressure Churchill felt to get all of the troops home again. The fact that over 338,000 men were rescued just goes to show how resilient the troops must have been and how brave the owners of the 'little ships' were to cross the English Channel to bring them home. It wasn't easy, the German army soon became aware of this rescue effort and so began targeting the ships whereas previously they had been having a dog-fight in the skies above France - many troops questioned where the British Air Force were but they couldn't see the fight they were having above the clouds and so were left to think they had been completely abandoned. This could not have been further from the truth and with grit and determination, this massive rescue effort was launched and pulled off with aplomb. The individual stories shown in Dunkirk give a sense of the human stories behind the greater story of the D-Day landings. 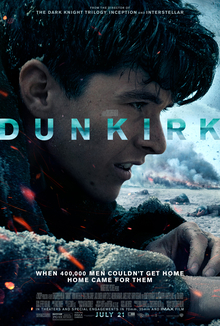 It must have been an epic undertaking for director Christopher Nolan, not only to tell the story with empathy but to give the audience the feeling of thousands of troops being on the beaches awaiting rescue. I absolutely applaud the cast and crew who worked on Dunkirk because it's not easy going back in history to re-tell a story like this. If you haven't already seen Dunkirk then I highly suggest you do because it's epic. Think of it as a history lesson but with incredible cinematic photography. If you're into your spy films set in the height of the Cold-War then you're going to love Atomic Blondie. Set in 1989, just after the fall of the Berlin Wall, it tells the story of Secret Agent Lorraine Broughton (expertly played by Charlize Theron) sent to Berlin to deliver a priceless dossier containing a list of all the undercover British agents currently active. She must employ her sensuality and savagery in order to stay alive on what is an impossible mission. Partnering up with station chief David Percival (James McAvoy) they must work together to complete their task. This is a brilliant spy thriller, you could say Broughton is the female Bond but actually I find she's better than that. Using every trick in the book to get what she wants and slay anyone who gets in her way, Broughton eventually discovers she has been double crossed and so sets out to seek revenge. 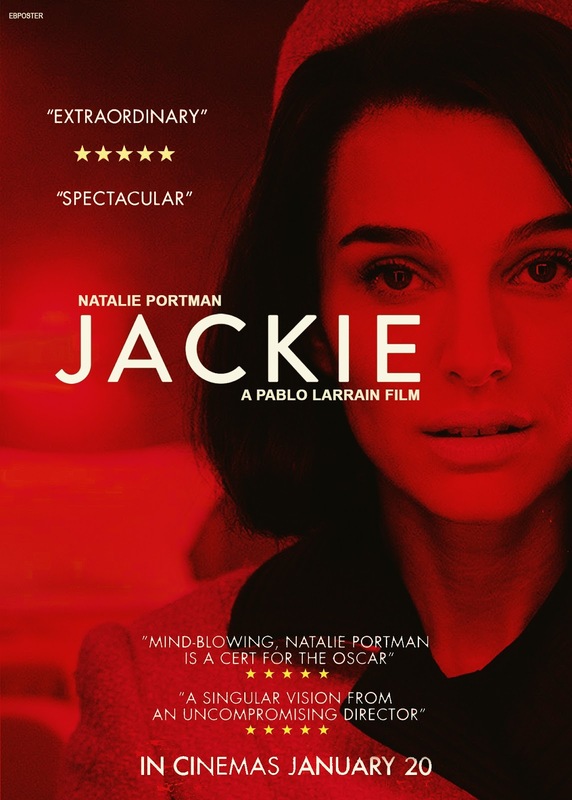 This isn't some cheap spy movie where they cast the lead woman as just a token to be used by men however they please, nor does Broughton explicitly use her feminine whiles to get what she wants; it is both clever and sensual but without lending more to one than the other. Having seen Red Sparrow recently I can't help but compare and I have to say that Atomic Blondie is by far and away the better of the two. I found Red Sparrow overtly sexual and lacking in the cleverness shown by Broughton at getting what she needed. 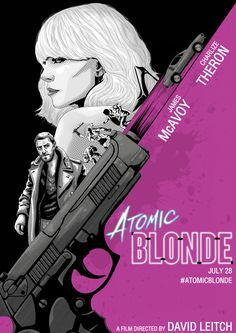 Personally I didn't really see the point of Red Sparrow and if I were you i'd give it a miss and watch Atomic Blondie instead! Charlize Theron is absolutely brilliant and could easily play a female Bond if the offer ever came her way! So that concludes this 3rd instalment of my Film Reviews, please check out the other 2 parts if you haven't already and leave me a comment if you've seen any of these films yourself! I'd love to know what you think!